First impressions are important! Our range of promotional clothing branded with your logo and slogan, will increase your identity and profile. At Purchase Point Australia, we brand high quality apparel for businesses and corporations, sports teams and community organisations. Working with the most reputable, leading manufacturers, we choose only the best apparel and garment suppliers for our customers. As a respected and trusted promotional clothing provider, our product range is known for its quality, offering your employees complete comfort, durability and reliability. 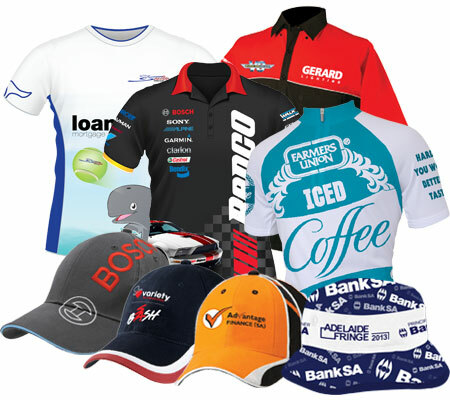 We can co-ordinate outfits for both men’s, women’s and kids styles and sizes, including a wide selection of industry specific apparel such as hospitality and catering apparel, as well as hi-visibility and safety workwear, and can even provide headwear that advertises and promotes your organisation. With a variety of logo and branding options, such as embroidery, screen printing and die-sublimation, PPA can create a solution to complete your tailored corporate identity. Purchase Point has been custom-making school uniforms and club teamwear, specialising in football, cricket, netball, soccer, basketball and touch football uniform solutions. Whether it be a football guernsey or cricket shirt we can sublimate, sew on badges, screen print or embroider your club’s emblem, sponsors and player names and numbers. We will provide you with a visual of your school or club garments for your approval before the manufacturing process begins. Contact the team at PPA today to find out about our customised apparel and teamwear service, which will help you look and feel amazing!